My English translation of Tyconius’s Exposition of the Apocalypse has been published. 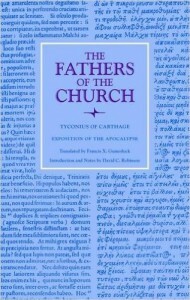 It is in Volume 134 of the Fathers of the Church series. I hope you get a copy and enjoy reading his explanations of the Book of Revelation. Tyconius wrote this Exposition about 380 AD. It is useful in many ways. 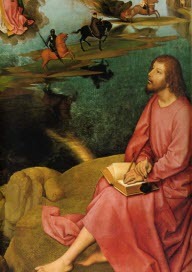 He interpreted John’s visions to make them relevant for the church of all times, similar to modern “idealist” interpretations. He also believed that some passages in Revelation were symbolic of the future persecution of Antichrist, the Second Coming, and the Last Judgment. The introduction and notes to the translation of Tyconius were written by David Charles Robinson of Toronto. 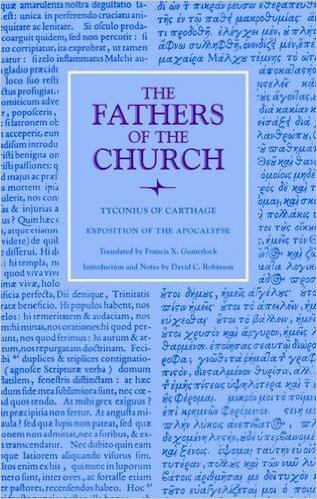 To order Tyconius of Carthage, Exposition of the Apocalypse from Amazon, click here. Sure wish some of those smarts rubbed off on me in Montclair!